Hello! 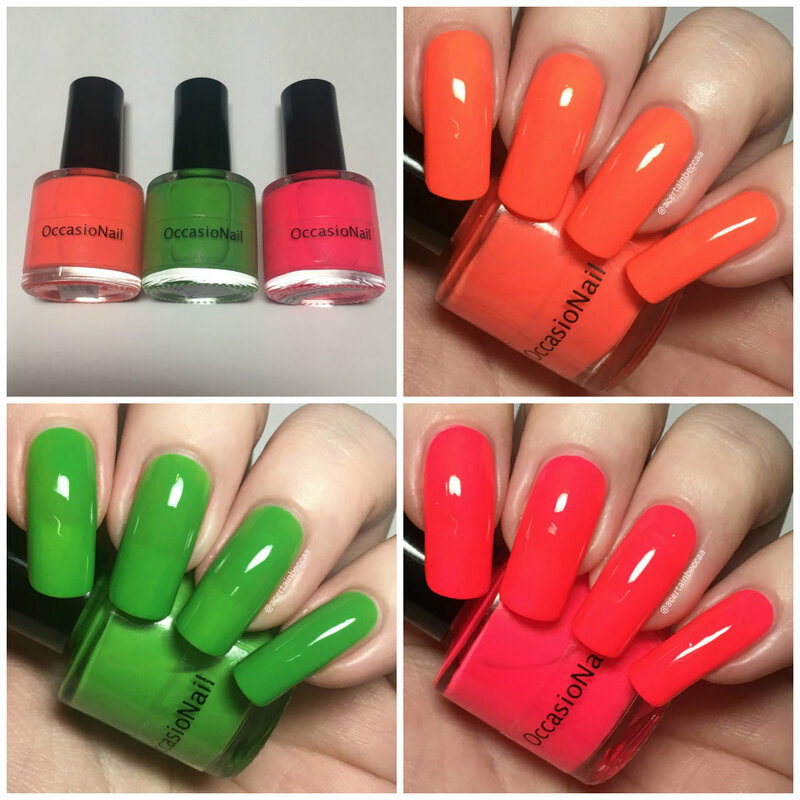 Today I'm back with swatches of three polishes from OccasioNail's upcoming Cocktail Collection. The collection is full of brights and neons, just what we need to pull us out of Winter and take us all the way through to Summer. I was so excited to see these, and they are literally eye searing on the nail, so let's get into it! Read on for full swatches and more info. 'Singapore Sling' is what I'd describe as a neon peach. This is much more peach than your normal traffic cone orange (however if that's what you're after, have a look at 'Screwdriver'). The formula is slightly thick, yet still easy to apply. 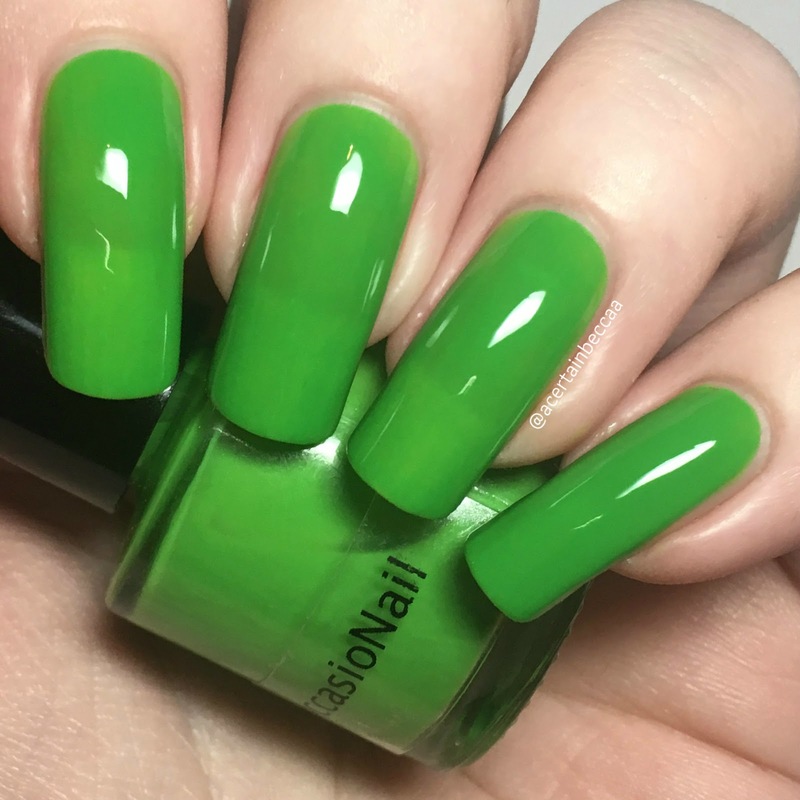 It does have a typical streaky neon formula, but evens out nicely in three coats. It dries semi matte so I would recommend topcoat. Below is three coats and topcoat. 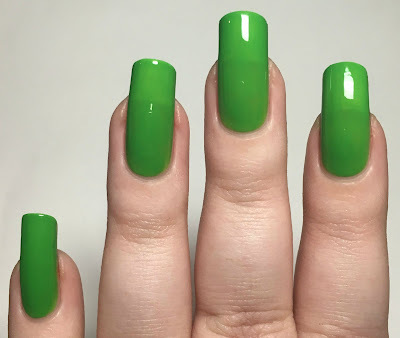 'Mojito' is a neon green. This reminds me of those bright sour apple sweets. It has a smooth and easy to apply formula, although is fairly sheer. I found it built up well in three coats. I could still just about see my nail line in certain lighting, but not enough to justify another coat (it looks much more obvious in my photos). This also dries slightly matte so will benefit from topcoat. Below is three coats and topcoat. 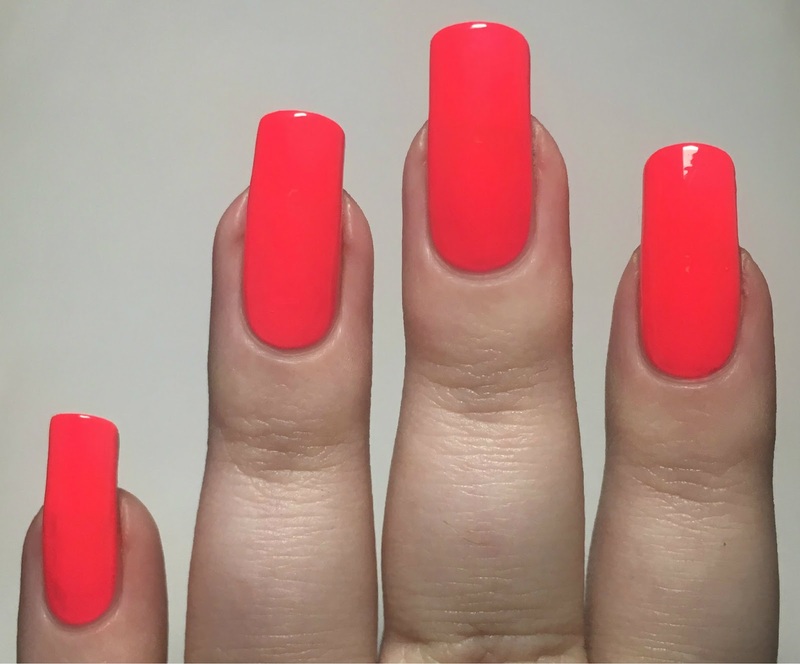 'Cosmo' is a bright neon pink. The formula is just on the thick side, but is still easy to apply and stays where you put it. It is a bit less streaky than 'Singapore Sling', but I still needed a third coat to even it out completely and cover my nail line. Again it dries semi matte so does need topcoat. This looks slightly more red in photos than it does in person. Below is three coats and topcoat. What do you think? I am really feeling these! It may still be freezing, but I am ready for brighter, funner polishes, and these are amazing. I'd even go as far to say that they are my brightest neons. I still can't quite believe how bright they are - especially the peach and the pink. Every neon lover needs these! You can find these in the 'Coming Soon' section of the OccasioNail website here. Once available they will be £6.50 each. Make sure to follow the brand on Instagram here for more swatches and a release date! 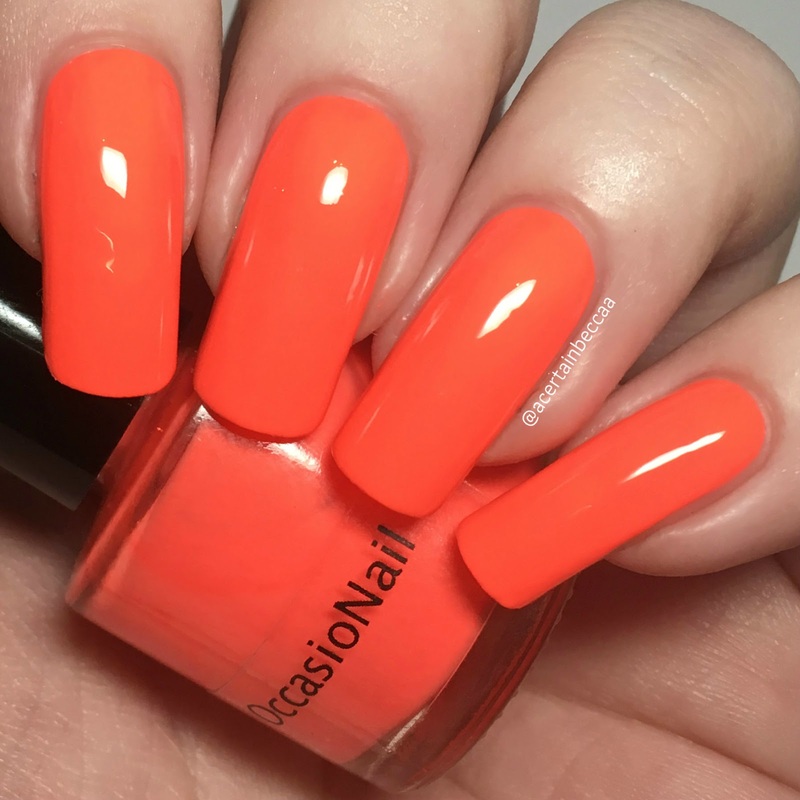 Very Summery shades! I particularly love Mojito. Cosmo needs to come home with me! YES! Loving the bright neons. 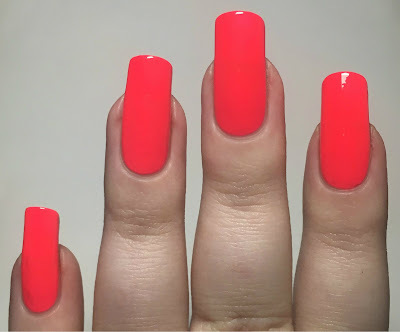 Bring on summer (well not the temps that I experience..haha), but I am ready for neons! Cosmo would look so good as a pedicure!!!! 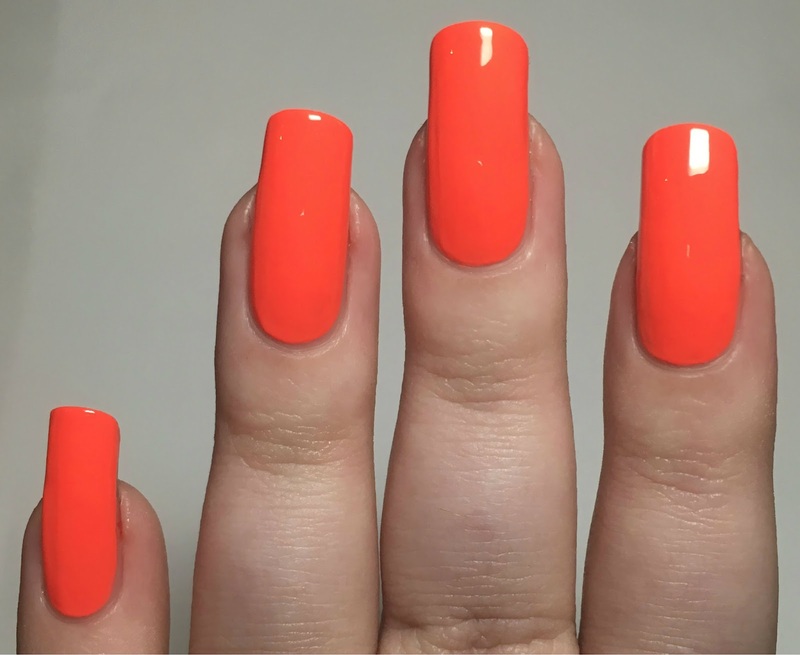 So bright and fun for the winter! The theee are so fun and bold! You wear them so well! perfect summery shades, love how bright these are! That orange is to die for!!!! Beautiful swatches!! 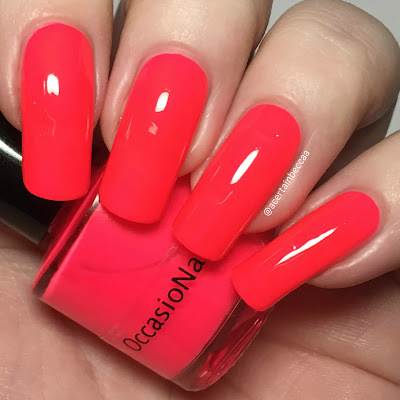 Neons are great any time of year - in fact, I wore China Glaze Flip Flop Fantasy last week and it really brightened up my mood! These neons are so bright! I'd totally wear them on vacation. Loving how fun and bright these are. 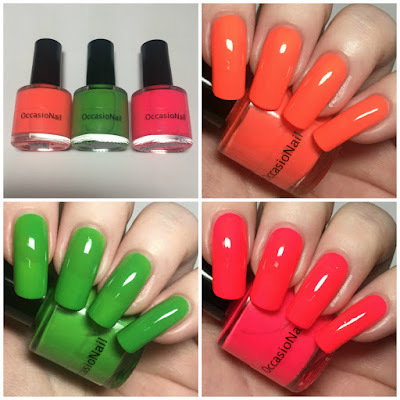 The perfect summer shades- Cosmo needs to be mine!!! That orange, so lovely! And sooo neon looking.